Donations to the official Shoreham Airshow Fund has reached an estimated £50,000 in the first ten days. With hundreds of people continuing to fundraise to help the people and communities affected by the crash, the final total could be much higher. The money will go to help the bereaved families and communities affected by this disaster and will also support people in the longer term when issues they face as a result of the incident become apparent. The Foundation is working closely with police family liaison offices, advice services and the local authorities to identify the immediate, short and long-term needs of the people affected so that money can go out to support those people as soon as possible. “We’ve been overwhelmed by the generosity of people from Sussex, across the UK and from abroad who have been donating online, over the phone, by text and by post,” said Kevin Richmond, chief executive of Sussex Community Foundation, who is managing the fund on behalf of Adur District Council, Brighton and Hove City Council, West Sussex County Council and Worthing Borough Council. Neil Parkin, Leader of Adur District Council, said: “The community’s response has been truly astounding and working with Sussex Community Foundation has helped give a focus to the donations. Daniel Humphreys, leader of Worthing Borough Council, said: “The way our community has pulled together to contribute to the fundraising effort has been incredible. “We have seen businesses large and small organising events, communities coming together for moments of silent reflection and a large number of people taking to the streets to fundraise. • £4,641 was collected at the Bridge of Lights in Shoreham on 29th August. • The Country Oak pub in Hollingbury raised £4,430 with a weekend of auctions, raffles, karaoke and other entertainments. • Customers and staff at eight Morrisons stores across Sussex collected over £9,000. • B&Q in Worthing collected over £1,200 from customers and staff. • Ellie Henderson of The Man’s Shop, Worthing raised £237.54 at the Great Little Farmers Market. • Cuckmere Emporium ran an art auction at the Alfriston Festival. • ASDA in Lancing raised over £500 from staff and customers. • Shoreham resident Lori Standen raised £525 at her music event at Penny’s Bar, Burgess Hill on Friday, September 4. • Tesco Express in Worthing raised £1,709.33 from staff and customers. •HSBC branches across Sussex will be collecting for the Fund from Friday, September 11. • Brighton &Hove Albion FC will be dedicating their first home fixture of the season on Saturday 12 September to those affected. • The Worthing Silver Band will be performing to raise funds on Sunday, September 13 (11am to 12pm) in Worthing town centre. 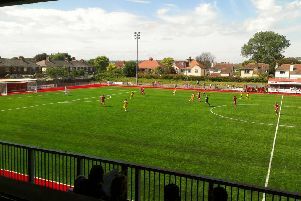 • A Haywards Heath residents’ group is organising a Fun Day at Hanbury Stadium on Sunday, September 27. There are more details of other fundraising activities taking place at the Shoreham Airshow Fund where you can donate online. • Paying cheques made out to: ‘Sussex Community Foundation’ into our CAF bank account number 00095624, Sort code 40-52-40. Account name is Sussex Community Foundation. Please mark payments SHOREHAM.